I just received my baby about an hour ago and she's perfect!!! She has already eaten 8 crickets and is basking under her lamp. Thank you so very much she's everything I wanted. Very impressed 830 am delivery. The color of these dragons is more than what pictures showed. Thank you so much!! Great price, Great animals, great shipping, and awesome email response!!! Great buying experience, Wish all were this way. I just wanted to let you know that I received my bearded dragon this morning and she is great! She has amazing coloring and was so friendly as soon as I took her out of the box. I will absolutely be ordering again from you in the future! Hello, I have received my dragon right on time, and he looks fabulous..The color's great, he seems very healthy, and no nips..Thank u very much for a sure to be great lizard. WOW!!!!! I can not believe how bright this dragon is. The pictures just do not do them any justice. I can tell you spent a lot of time with these master pieces of art. 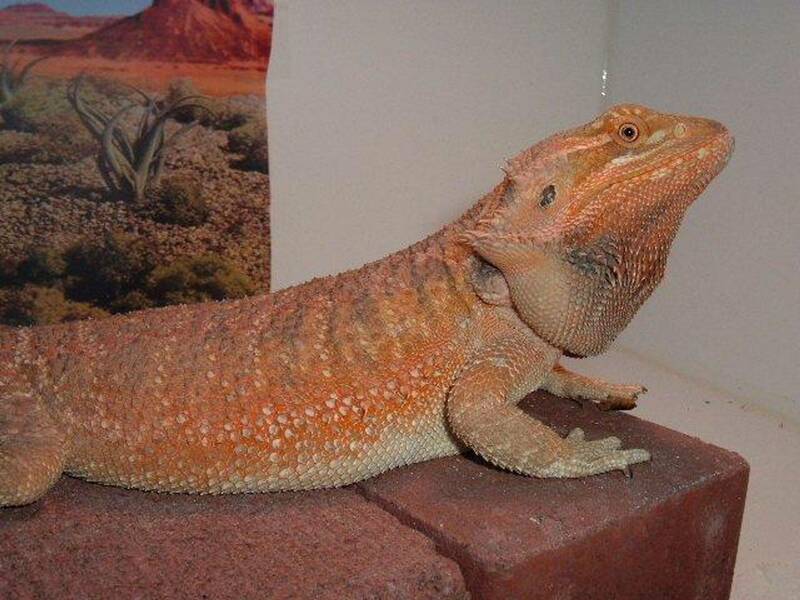 My wife and I have spent many hours looking at Bearded Dragons Top sites and have purchased some beautiful stuff. But the dragon we received was just unbelievable. Thank you for such a great experience there at Rainbow Bearded Dragons. Our next masterpiece will definitely come from you Tamera. Thanks again Ariel. Hey! Just thought I would drop a quick note to let you know we recieved the dragon at 9 o'clock on thurs. He is absoulty beautiful!!!! He is eating well. And is super tame. We just love him. Thank you sooooooo much for the beautiful dragon. I just wanted to thank you,for the gorgeous crimson female you sold me. and professionalism when she was packaged she arrived stress free,as soon as i opened her package she was bright eyed and ready to go,and as we talked it is so obvious how much you not only care about you dragons but also your customer as well. thank you for making my first purchase of a bearded dragon a pleasant exprience. I WOULD NOT HESITATE TO BUY FROM YOU AGAIN, OR REFER MY FAMILY TO YOU FOR PURCHASES! He's wonderful, seems to be adjusting nicely even after this short a period of being in his new little home. I have the temperature at 106 so I'm happy with that. I got his crickets delivered about 1 hour after I got home. Probably a little small for him but I didn't want to take the chance that if I ordered 1/2 inchers they might come in a little too large. I'd rather be safe than sorry. Depending on how quickly he grows, I'll probably go with the 1/2 inchers next time. I got 1,000 so that should last him a little bit and if they get too big by the time they're gone, I'll just order more and give the big ones to the chickens You were right, he's beautifully colored for his young age. He'll be a showstopper, and a wonderful little addition to the family. I can already tell that he has an excellent temperament and will just get better as he gets more used to us. Thank you so much Tamara. If I ever decide to look for another one, you will be the first place I look. In my opinion, your dragons are of outstanding quality, not to be matched by any others I've seen out there on the internet. I'll let you know how he progresses and send you pictures once he get all big, burly and gorgeous. I just opened the apple to write you. She arrived safely and very well packed. We love her! Incredible quality too. We will keep watching your website as we consider more dragons. Did I tell you how awesome she is? Ate 3 dusted crix right out of the box! Take care and thank you for such nice work! Yes, we got her before noon. She is big and healthy looking, and has a good appetite. Thank you so much for everything. It was a real pleasure doing business with you. Im writing about Fred, From C.J. and Zoey purchased on jan 21. He is beautiful from the day he came home he was so sweet and mellow. Such a lover boy. he is about 14 inches long and going through his second shed. he was the same size of our female my son already had, When he came home, and he is so much bigger than her now. when i take him out of the cage he just sit in my hand, I have a Day Care and the children just love him, they hold him and he just sits there. Im so happy we purchased him from you, He is my first Dragon and i love him.